Today we will learn ” how to migrate from Physical to Virtual or P2V migration.”As we know that in today’s world, Virtualization is need of every organization.. As we know while using VMware we can run up to 255 virtual machine in a single box .. So everyone is now run there servers or machine’s in a single box and migrating there existing machine’s in to virtual.. 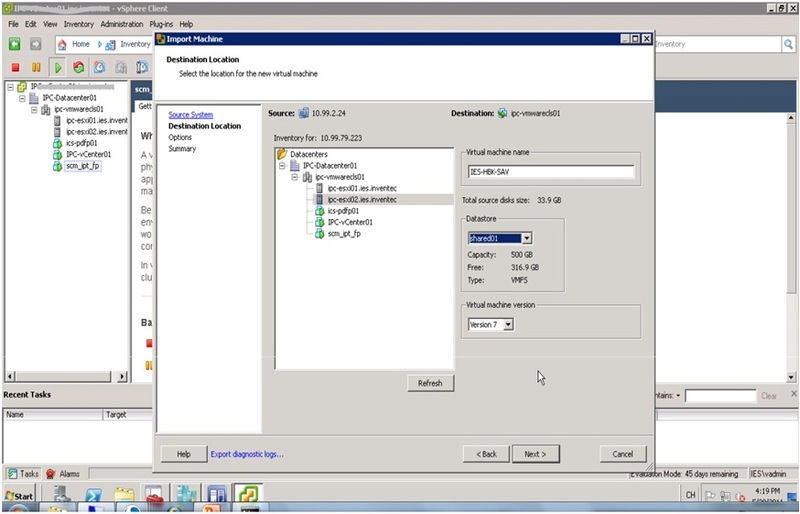 So here i m telling you how to migrate from physical to virtual environment with ease…. First of all you need to download and install the VMware Converter . There are so many features of it . 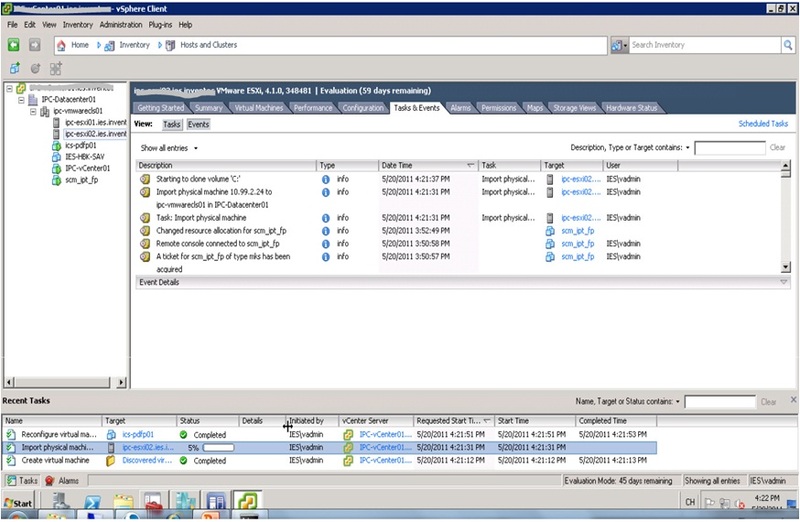 convert third party VMs to VMware. For example- MS Virtual PC, MS Virtual Server, Backup Exec LiveState, & Ghost. Clone and backup physical machines to virtual machines as part of a DR plan. When VMware converter installed your vSphere is ready to migrate the Physical machine’s in to Virtual. 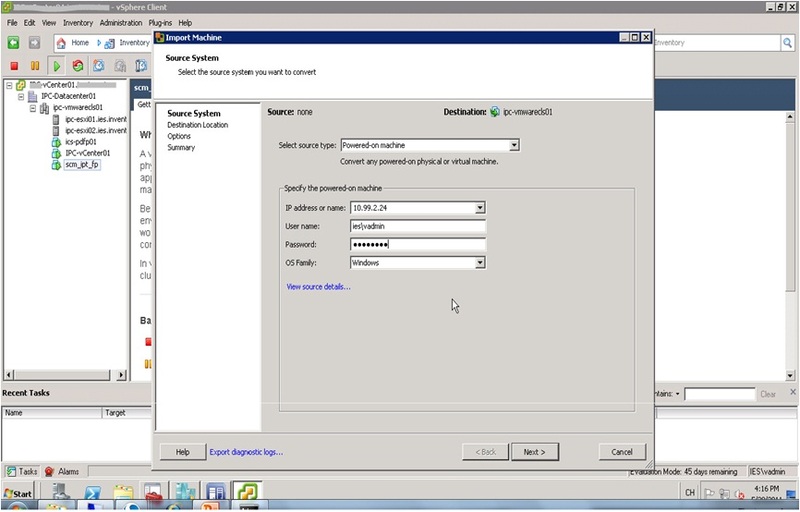 Step 2 -Fill the target’s info like: IP, Username, Password, OS type. 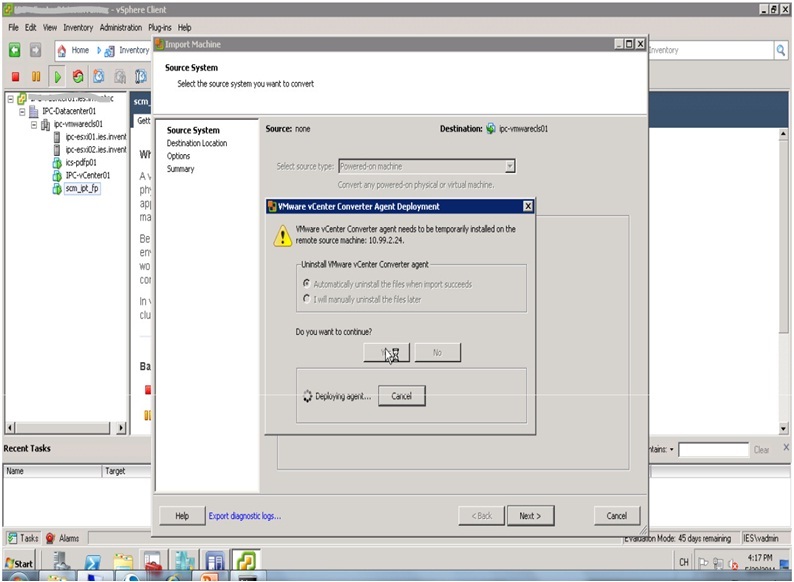 Step 4- It will start deploying agent on Source machine.. 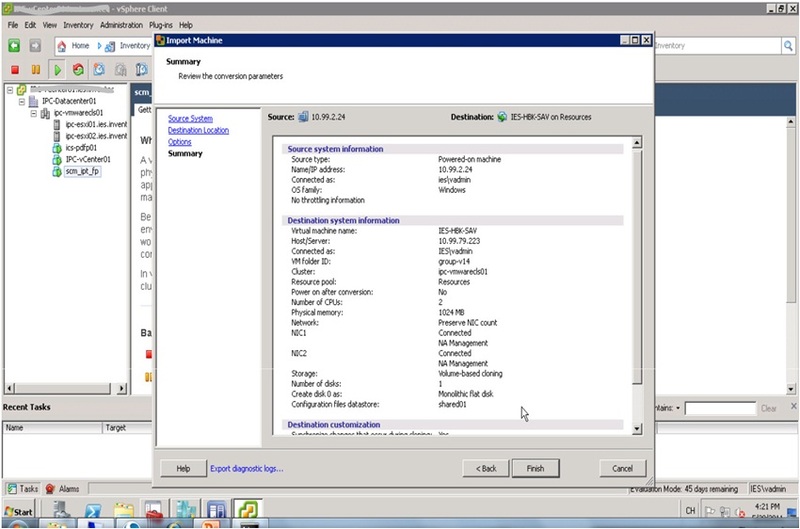 Step 5- Select a ESXi server to receive new VM, Select a shared datastore.. 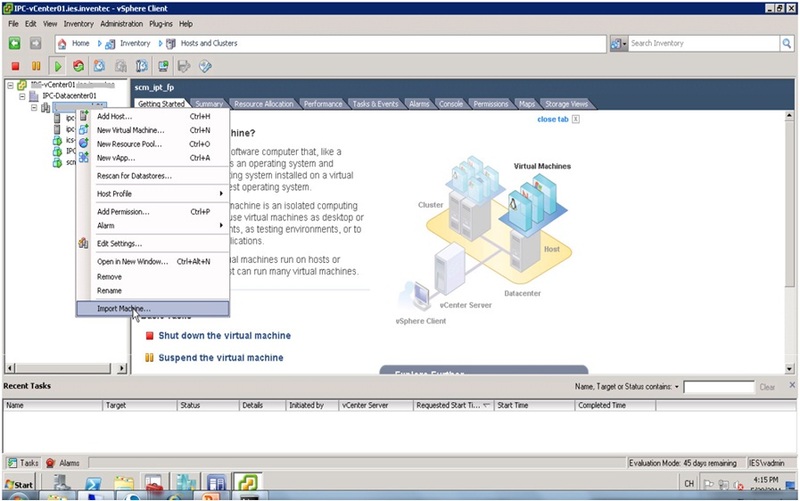 Step 7 : – Now it will show you the configuration overview of the VM you are going to import. Step 8 : -Status show in Tasks & events panel, wait for 100% complete.